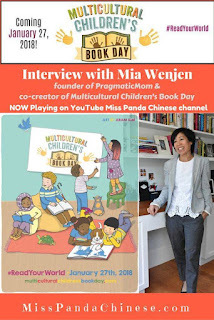 Today is/was Multicultural Children's Book Day, which totally escaped me until yesterday. It didn't escape Mia Wenjen (Pragmatic Mom blog), who is one of the co-founders of the event. 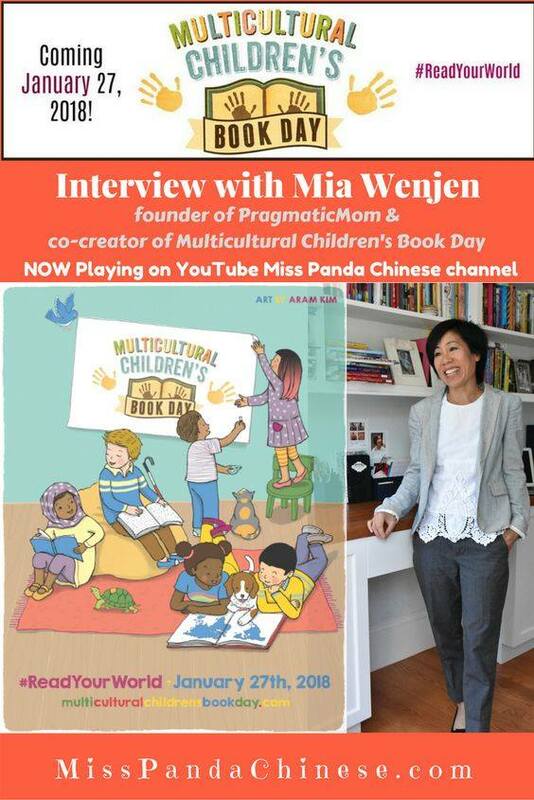 You can see and hear her talk about Multicultural Children's Book Day on the Miss Panda Chinese YouTube Channel. While I don't have anything new relating to multicultural children's books, I can refer you to some I've enjoyed in the past. Golden Domes and Silver Lanterns by Hena Kahn with illustrations by Mehrdokht Amini. The Nian Monster by Andrea Wang with illustrations by Alina Chau.